While I realize that I just horrified snow lovers and winter sports enthusiasts, and put myself in the same category as Oscar the Grouch and the Grinch. I'm pretty sure I now somehow personify the word curmudgeon even more succinctly than Scrooge at his absolute “scroogiest”. And, I’m almost certain someone will take me to task for my bad attitude. I just Hate winter. With a capital “H”. Oh, the snow is pretty when it is first falling. And, the first few cold, clear days are often quite beautiful. But, the grinding cold and the relentless winds and the half-melted, re-frozen snow that maintains its icy grip begins to feels like it is eating at my very soul as the days turn into weeks with no real relief in sight. It’s the frozen water buckets and soggy socks, the layers and layers of clothing that must be put on and taken off, the hauling of heavy buckets through the slush and ice…the endless grey skies, the inability to do the work necessary to make a living. And, while I know that Spring will eventually come to our Valley, first one must survive the Winter. And, that’s the part most folks miss. What it takes to survive. The effects of winter weather are far-reaching. We cannot just sit back and relax and wait for the big thaw. Any losses now will be felt for a long time to come. The work that cannot be done or must be postponed will indeed show up in our “bottom-line” at the end of the year. When the lovely snowflakes start falling, we don’t have the luxury of staying by the fire, drinking hot cocoa and choosing a new cookie recipe. There are living beings that are utterly dependent upon us. Winter is quite often truly a battle for survival of the fittest. Despite the weather, the animals must always have food, water and some sort of shelter. Severe winter weather is a true test of both our planning abilities and our commitment to our way of life. The threat of a winter storm means that we go into full emergency preparedness mode. The possibility of an extended power outage is very real. Feed and food---check. Fuel---check! Batteries and firewood---check. Water, lamb formula and pet food---check, check and check. Shovels, brooms, gloves and boots stand by the door waiting to see action. Yes! We’re ready. To gather the eggs and check the water, someone needed to gather their own winter clothing and boots, leave the warmth of the house and trek out to the henhouse through the whipping wind and swirling snowflakes, trudging through the ever-deepening drifts. Mission accomplished, the eggs could be stowed safely in the cooler for future sales. (it seemed more than a little ironic that the COOLER was warmer than the temperature outside) Then return to the house for a slight warming before it was time to do it again. In addition to the eggs, the bottle lambs needed attention. Bottles must be mixed and delivered three times a day (four for the little babies) regardless of the weather or one’s health and/or inclination. There are far too many babies (and they are far too large and rambunctious) to bring indoors. So, it’s off to the barn with the box of baby bottles. That is, after suiting up and shoveling the back porch (again). the hens can't even get out of the henhouse! We waited and watched the snowflakes fall endlessly throughout the day. We needed to be ready… Because as the last snowflake falls, action must be taken. Snowblower, tractor and shovels were standing by. With three foot drifts in places across the farm, it would take a lot of effort to assure future access prior to the re-freeze that is a serious factor following every winter storm. Did you know that snowblowers are completely ineffective when it comes to icy, compacted snow? That’s why time is of the essence. This particular storm was not kind and ended in the dark of night with rain on top of the snow. That limited the effectiveness of the snowblower, leaving most of the work to the tractor. The tractor’s size confined it to the large clearing jobs and delegated the rest of the clearing to the shovel…which must be operated by the “shovelers”. Lots and lots of physical effort goes into clearing paths to greenhouses and stocktanks. Did you know that it’s 177 loads with the aluminum grain scoop from the stock tank to the main path? Yep! I counted. I was quite proud of my little path…and the dogs seemed to appreciate it, too. That little path is just one of many…there are paths to the both greenhouses, the pullets and the garden hydrant. (the blower did make it to the hens) It took both of us an hour to dig a path to the the ram paddock out back. made it to the garden hydrant! Paths cleared, surely it’s time to take a well-deserved break, right? Wrong. It’s time to gather eggs, feed babies (again) AND check on the greenhouses. The bright sun reflecting off the white, white snow causes the temperatures in the greenhouses to soar. Ventilation must be maintained (so shovel out to get to the doors!) And, water…the little plants need water. Since all the irrigation infrastructure is frozen (and covered in feet of snow), a bucket and watering can must be utilized. That means hauling buckets of water over/through the deep snow. It was a pleasure to see the sun and feel warmth once again. Although as the snow melted, it was obvious that there would be even more work. ICE is not our friend. The melting snow causes puddles and pooling everywhere. The frozen ground cannot absorb it, so as night falls, it freezes where it stands, causing the slight slope down to the barn to become a high-speed luge track, while the shady spot in front of the barn becomes an ideal ice-skating rink. But, skaters and lugers never attempt to carry fifty-pound feedsacks while performing! (I can assure you…that definitely makes for some most interesting moves) Rock salt, kitty litter and gravel all work to give us some sort of traction. The slightly melted snowdrifts have now become immovable icebergs, giving way to only the greatest of efforts, or extremely warm temperatures. (neither of which look to be coming in the foreseeable future) But, the dogs are enjoying romping on TOP of the snow and the huge mounds make for grand observation posts. you can see the whole lane from up here! well...at least the driveway was clear for ONE day! Now that the groundhog saw his shadow and made his prediction, we’re finally on the countdown to warmer weather and brighter days…so you’d think we’d be making some real progress toward Spring. But…no…now, we find that our lives are ruled by SNOW and cold weather. I know we shouldn’t complain. The city of Boston has measured over 100 inches for the season, and that total was prior to this weekend’s storm. I cannot imagine what that must be like. Honestly, I don’t even want to think about it! However, snow and winter weather were at the heart of all activity here on the hill this week. Monday we were watching a storm that was supposed to come in by the late afternoon. Since we were getting seriously low on feed for the sheep and chickens, we made a town run despite the fact that the Presidents ’ Day holiday would keep us from accomplishing a number of our usual errands. And, the lack of pet food meant that I had to brave Walmart just prior to a snowstorm. (that experience wasn’t quite as bad as I feared) The Boss was hoping that if we hurried we just might be able to get a load of hay before the snow. As we hurried home, we could watch the chances of that diminish before our eyes as the storm rolled over the mountains. By the time we got the feed unloaded, the snowflakes were flying as the snow settled in for the duration. That storm didn’t live up to all the hype and expectation and we ended up with a little over 5 inches. Yes, we are those perverse folks who rejoice in small snow totals. But, behind it came the most frigid air of the season, some of the coldest air on record. The snow wasn’t going anywhere anytime soon! Once the lane was cleared, we headed out to the hay guy’s. It was more than a little unnerving to realize that when we took the last bale off that trailer---we got the last bale. The last square bale, that is. There is definitely hay to be had, it will just be in a different form next time…and that’s going to take more than a little adjustment. But, we’ll cross that bridge when we get to it. For now, the sheep have hay and we’ll just hope the weather changes soon. Because…this has been a tough winter. But, the threat was real and while the forecast lessened, the timing was quite concerning. Arrival was predicted to be sometime Friday night or into Saturday morning. We began to give serious thought to our downtown delivery run. We have to pay extra attention to the weather in the wintertime. Our “winter sales” program works wonderfully well, but it demands that we always think in advance, too. When we send out our email on Wednesday, we know we won’t make the delivery until Saturday, so careful consideration is given to the long-term forecast. …and this time, we decided to err on the side of caution and take the week off. This isn’t a decision we come to lightly. Our Saturday delivery is the one chance we have for income during the week. To give up the only opportunity to make several hundred dollars can seem foolhardy. However, we are also concerned about our customer-friends’ safety and well-being! So, while it was quite cool to see Mars and Venus in close configuration with the moon on Friday evening, I figured it was quite possible that we had made a very big mistake. The crisp, clear night with its twinkling stars showed absolutely no signs of any type of impending wintry weather. Not at all. it snowed like this ALL day long! But, by the time we headed out for chores just before seven, the flakes were falling with gathering intensity. In the relatively short period of time we were outside, it became obvious that we had been wise to skip our delivery run. The flakes fell faster and faster. The snow started to pile up. By the time we would have been leaving for town, there were several inches on the ground. We definitely made the right decision! The wind picked up and the snow began to drift. On my trip to feed the “piranhas” at the barn, there was snow over my knees. There were several inches INSIDE the back of the barn where the opened door allowed the sheep access to the stocktank. The chicken feeders disappeared under the snow. I began to worry about the ram and took him fresh hay. Despite the ongoing storm, the Boss assured me that he was fine at afternoon chores. Then came the predictions of change-over to ice…and then rain. Dire warnings about snow on rooftops were somewhat un-nerving since it was dark and getting late. Any snow removal would have to wait until daylight. That concern, along with worry about the animals and the unspoken but very real possibility of a power failure made for a night of fitful sleep and little rest. Time for the Sunday walkabout…and I’m not real sure I can get out the backdoor. It’s going to be a day of snow removal…and not rest, I’m sure. We did indeed get some further precipitation…a wintry mix, as best I can tell. If there is an icy crust on top of the snow, the snow blower will not work properly and the Boss will have to use the tractor. Assuming we can break through the drifts in front of the barn and get to the tractor! (which obviously we did) I'm going to have to write about a snow day on the hill. Let me assure you, it's not all cookies and cocoa. We must do some sort of clean-up today because the temperatures are supposed to plummet again and all this snow is going to turn into a gigantic iceberg that will become completely immovable. While I agree with all the snowlovers that wintry precipitation is beautiful…it is the aftermath that causes all sorts of difficulties for us here on the hill. And, we are not alone. Winter is incredibly difficult for all farmers! Seriously, Spring cannot get here fast enough! I do hope you’re warm and well and enjoying a Happy Sunday! Here’s hoping that next week I’m not still talking about the “s” word. But, wait…what’s that in the forecast…..? now, to see if we can survive the big dig-out! P.S. This is odd and random, but the neighborhood suffered a loss this week. And, while I didn’t know the gentleman personally, I will miss waving to him as I head out of Mbrk. He came to personify one of the things I love about this place and here’s a piece I wrote about that some time ago. RIP, Mr. Switzer. “One day late into my second season owning the farm, a customer walked in while I stood behind the counter spraying down bins of muddy carrots. The man asked how things were going. Financially, I mean. He held a head of lettuce in the crook of his arm, a bundle of pink radishes dangled from his hand. And so goes the article that recently appeared in Salon magazine. Read it here. This is the kind of article that makes conventional farmers go…SEE…told ya those idealistic, small farmers couldn’t make it! All the while making some small farmers lament the fact that they don’t qualify for all the programs and salvations that are apparently available to “agribusiness”. Consumers and activists read it and say…SEE…Monsanto, GMOs and subsidies will be the death of all small farms! And, any of the younger generation who is potentially interested in the future of small agriculture is dismayed and discouraged by the defeatist tone. And, me…I’m sitting here thinking…seriously, lady? You couldn’t make an organic vegetable farm work in California? How is that even possible? While it is not my intention to dismiss the article or discredit the author, I must say that this type of article bothers me to no end. This short-sighted, callous essay dismisses all those other farmers who find contentment and purpose (and profitability) in what they do, cheapening their efforts while giving a false sense of despair based on very limited experience. Anybody who knows anything about farming knows you don’t get into it for the money. Because, Lord knows, nobody ever got rich farming (just farming). But, I know it is possible for a small farm to “make a living”, perhaps not the standard to which some might wish to attain, but still…WE do really make a living from the fruits of our labors on this little plot of land. So, just what is this woman’s problem? Because while her customers see “the big picture”, the abundant, delicious food bathed in the beautiful California sun, she just wants to winge away about “agri-business” and the evils of subsidies and “corporate farms”. Society, Monsanto and GMOs are somehow to blame as well. She wants to say that it’s a disgrace that small farmers (as in all small farmers) can’t make a living, based on her own experience. But, in all her complaining, she misses entirely the lovely intangibles that make up the landscape of her world. The lovely intangibles (beautiful surrounding, the wonders of nature, the quality of life and so on) and the satisfaction of coaxing life from the earth have to count for something! And, the food. Oh my goodness…the FOOD! There is nothing like growing your own food. Each morsel is sweeter because we know the labor that went into the planting and the growing and the harvest. There is NOTHING like a vine-ripened tomato! I know there are weeds and pests and we fight a daily battle with death at times. I know that inputs cost money. And, long hours are a given. But “making a living” is not all about dollars and cents. It can’t be. You must, absolutely MUST, take into consideration the quality of your life. It’s taken years (and years) of effort, but we consistently earn well above the national average for Farmers’ Market vendors. 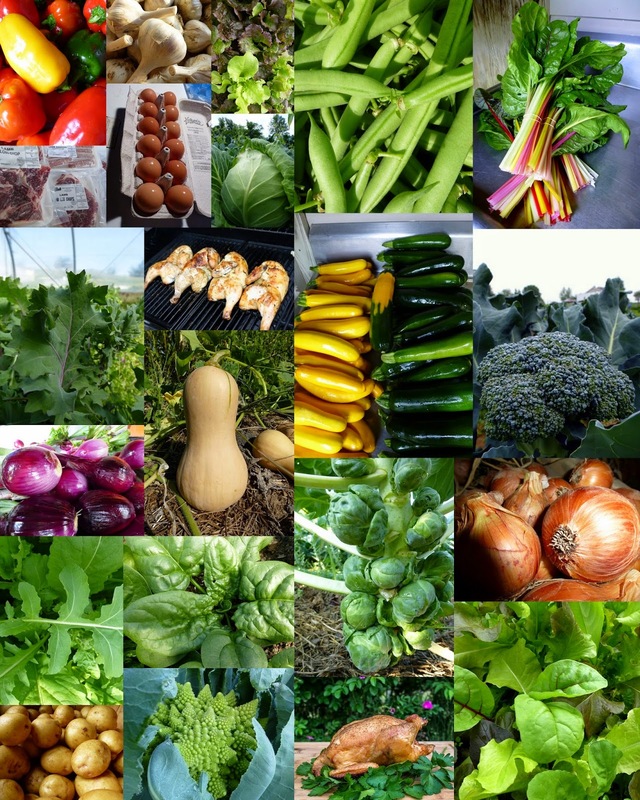 (for that matter, we earn more than some entire Markets) Eight years ago, we established a venue to market year-round, making our farm products available even in the "off-season". We enjoy the fruits of our labor, too, daily partaking of gourmet-quality foodstuffs.Our diet alone is worth a pretty penny. I make note of these points not to brag, but to verify my credibility. When the hard times come, and they will, you have to figure out a way to weather the storm…not just give up and give in all the while complaining that it’s just not fair that it is so hard. You must find some positive amidst the difficulties or you will indeed give up. When you choose not to see the beauty around you, not to enjoy the goodness of the life you live, and not to share the wonder and abundance with others, you can’t help but fail. And, that is just too sad. The author saw this, too, (she even mentions her fleeting thought) but chose not to focus on it. And, when given the opportunity, she didn’t share that wonder, she instead shared the sad fact that her farm only made a tiny sum of money for the year. Far less than some teenagers make during a summer vacation. (missing entirely that a new venture actually showed a profit!) She chose to focus on the fact that internships (one way to get into agriculture) are essentially forced labor camps without any hope for advancement. And, that farmers had to put in long, hard hours for very little monetary gain. What a sad, sad commentary. We’ve done this for 18 years now, I know what it’s like to see a disappointing bottom-line figure at the end of the year. Believe me, I know! But, that can be rectified…that doesn’t have to be the norm. Over the years we have re-invented our product line and the farm has evolved in countless ways. Because if something isn’t working...you must change. Otherwise it's like hitting yourself in the head with a hammer and saying DR, DR it hurts when I do this…and the punchline to that old saw is…”well, quit doing it!” I know about long hours, crop failures and horrible disappointments… I’ve written more than once about the sad and ugly side of farming. But, you have to look beyond that and look for the good. I know we could make more doing something else, making far more money. We have been told on various occasions that we should get a REAL job. And, quite honestly, there have been years when we really could have made more by flipping burgers somewhere off the farm . There have been times when it has been beyond depressing to look at the bank balance. I’m no stranger to sleepless, worried nights. And, I’m quite thankful that good manners dictate that one doesn’t have to discuss income with the odd and random person. But, at tax time, we actually don’t want to see a big number in the profit column. There’s a fine line between profitability and a really big tax bill. To operate “in the black” at all is positive, really. In the long run, the bills were paid, the children fed and clothed and we were all together, finding new and inventive ways to face the troubles that life sometimes had to offer. Our children learned amazing life lessons about resiliency and creative thinking. They, in turn, encouraged and stimulated our thinking. All that has to count for something! 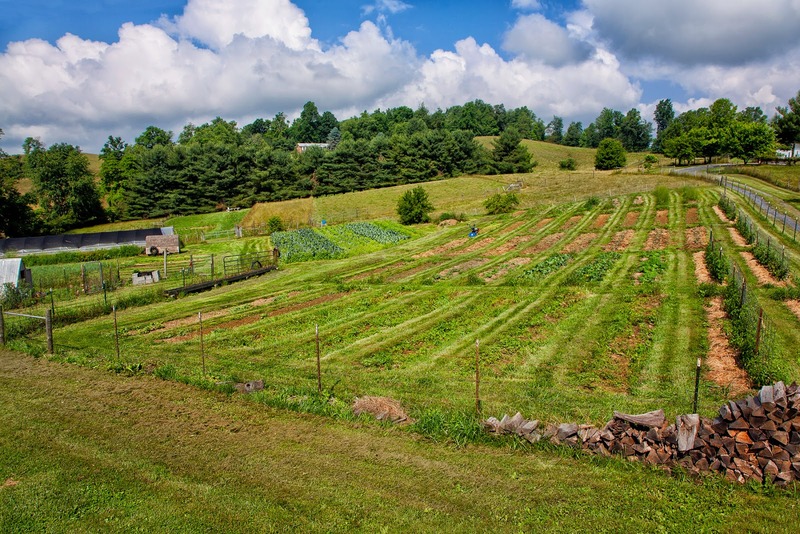 Can small farms be sustainable? Yes. Absolutely. 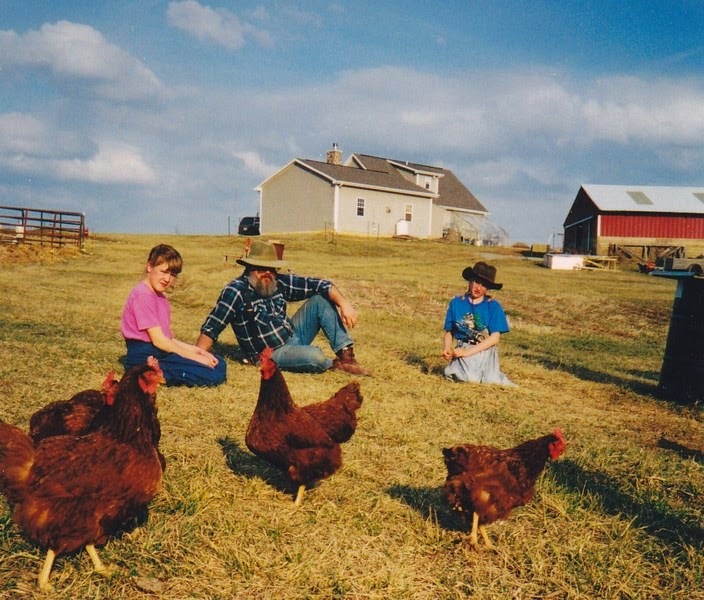 Are all small farms sustainable? No. Absolutely not. But, then, it’s not because they’re small. Or because…well, Monsanto and GMOs…or the lack of societal support. Personally, I think that sustainability has a great deal to do with adaptability and creative problem solving. (and perseverance in the face of adversity) And, while I agree that farming demands more of you than perhaps any other occupation, that is not to say it is a bad thing. I do not mis-speak when I say that this is not just my livelihood, it is my life. In the end, it’s not just the amount of earnings that dictate if a farming operation is sustainable. Although, profitability is a key factor. But without satisfaction and fulfillment in the lifestyle we have chosen, depression, despair and burn-out are sure to happen. you can make a living farming! We must never forget that we are indeed incredibly RICH in many other ways.